Formed in November 1968 by Mick Abrahams after he left Jethro Tull. They recorded two good rock albums and toured the US. 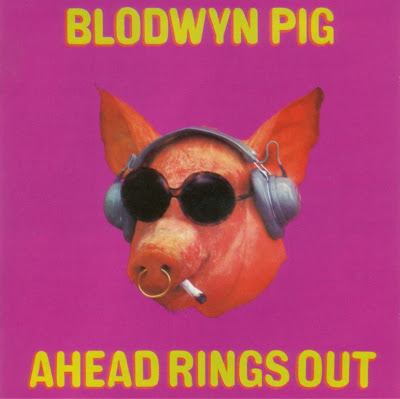 Their first album had a pig's head on the front cover with a ring through its nose, a fag in its mouth, sunglasses and headphones. The playing on the album is good but it isn't always matched by the material. Still, it had its moments, listen out particularly for some classic progressive rock on The Modern Alchemist and Ain't Ya Coming Home, Babe? which conclude each side of the album. Their second album saw them move away from their blues roots towards a more soulful sound. The See For Miles CD reissue of this contains two additional cuts, both sides of their second 45. In September 1970, after Abrahams had left, Pete Banks joined from Yes but the new line-up just didn't gel and the band split up at the end of 1970. Mick Abrahams formed his own band. Andy Pyle joined Savoy Brown and was then in a later incarnation of Juicy Lucy with Ron Berg. The band performed briefly in 1974 (line-up C) but had no vinyl output.